A 20 year veteran of the watch business, Michele Sofisti was appointed CEO of Sowind Group, which owns Girard-Perregaux and JeanRichard, in 2011. In the three years since he has brought renewed focus to both brands by streamlining the collection and emphasising key models. Born in the Italian mountain village of Bormio, Michele Sofisti has spent most of his life in watchmaking, having worked at the Swatch Group, LVMH and most recently, taking the helm at the Sowind Group and its two brands, Girard-Perregaux and JeanRichard. 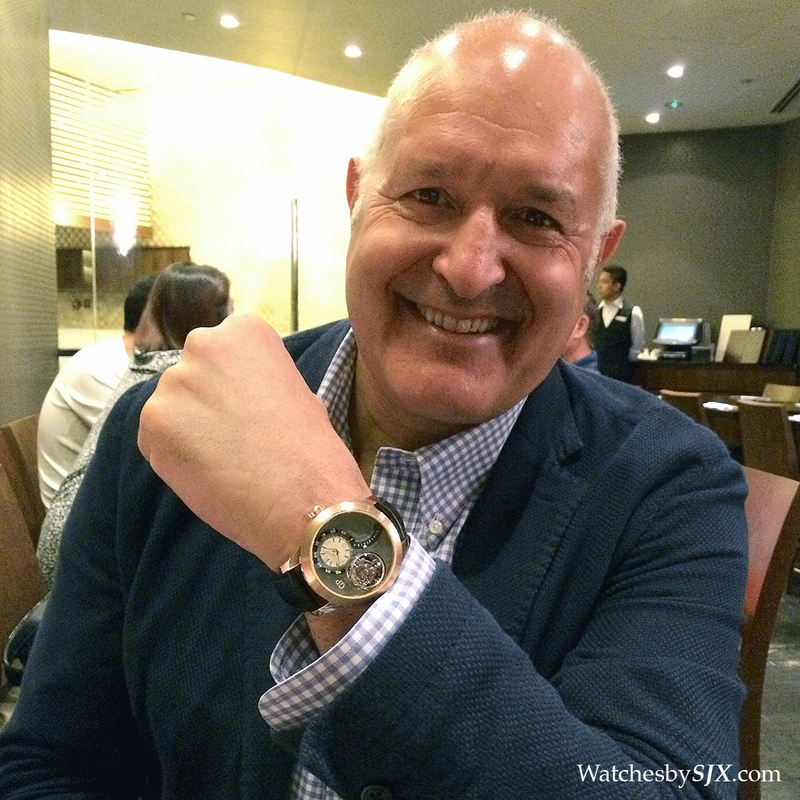 Mr Sofisti’s career in the watch industry began when he was recruited by Jean-Claude Biver to join the Swatch Group, where he eventually rose to become president of its biggest brand, Omega, and later president of Swatch. His time at Omega was when its marketing machine was gearing up to take the form it has today, with a relentless emphasis on celebrity endorsements, like with James Bond, who was played by Pierce Brosnan back then. Mr Sofisti professes an enormous admiration for the late Nicolas Hayek, whom he characterises as a hands-on manager with a tremendous memory and attention to detail. Subsequently, he joined Gucci to run its watch division in 2009. He turned the operation around, particularly by moving the average price point downwards significantly to several hundred Swiss francs, and he says Gucci watches now enjoys strong double digit growth. He still continues to lead Gucci’s watch business but the fashion label’s parent company, Kering, added Sowind to his portfolio in 2011. 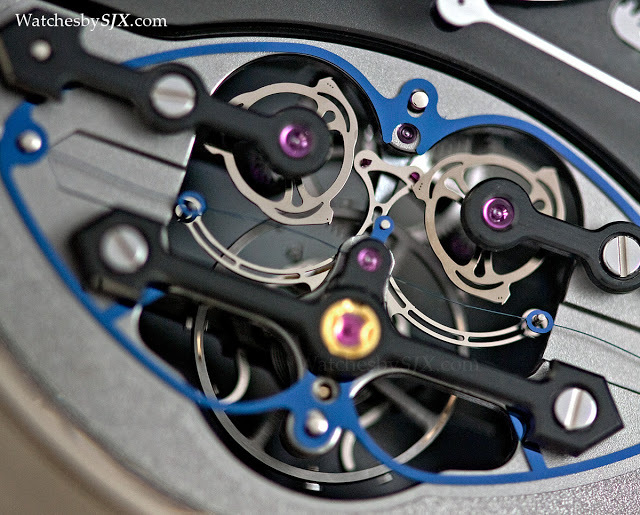 Sowind owns JeanRichard, and the haute horlogerie crown jewel, Girard-Perregaux. A prominent and revered brand some 10 to 20 years ago, Girard-Perregaux had lost ground to the competition in recent years, particularly in the high-end of the market. In the three years since he took over, Mr Sofisti has taken two key steps in restoring the shine to both brands. First, he trimmed the line-up at both Girard-Perregaux and JeanRichard. He notes that Girard-Perregaux had over 700 model references when he took over. “We had a 40 mm and a 41 mm [version of the same watch]. No one can tell the difference in 1 mm,” he says, adding that both used completely different case components. 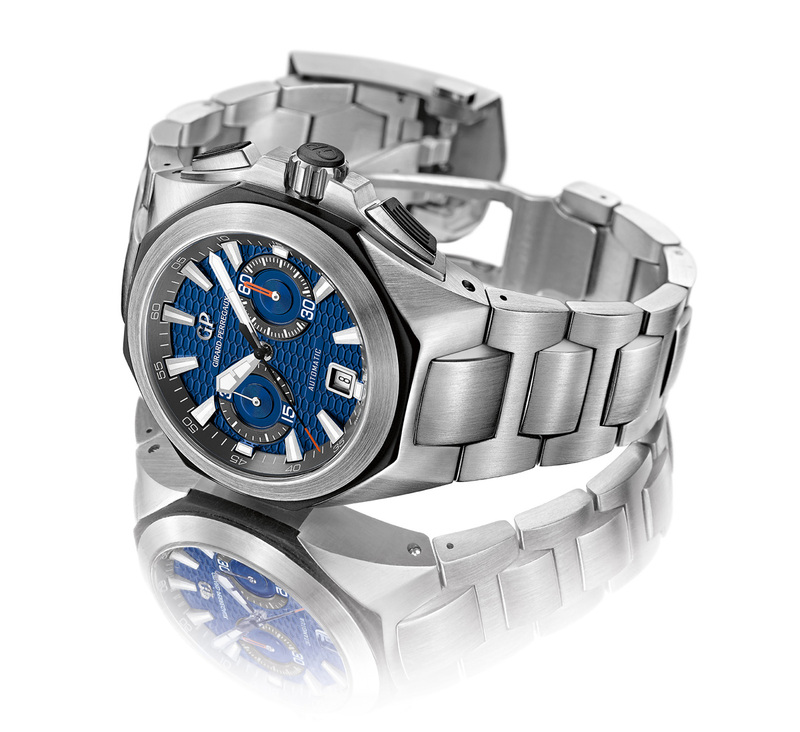 Now Girard-Perregaux sticks to its key model lines. “Hawk for its sports watches, ww.tc as a lifestyle watch and Cat’s Eye for ladies,” says Mr Sofisti, with the 1945 and 1966 completing the collection as classical gentlemen’s watches. His goal is to make each of them synonymous with the brand. Taking the Sea Hawk as an example, he admits that the dive watch is not particularly identifiable as a Girard-Perregaux timepiece right now, but adds that continuous development and promotion of the model will eventually result in it being readily identified as the sports watch of the brand. “Hublot’s Big Bang took 10 years, the Royal Oak is 40 years”, says Mr Sofisti, and he is confident the Sea Hawk will get there. At JeanRichard he has performed a similar streamlining of its collection, and also brought its prices down, keeping them to mostly under 5000 Swiss francs in steel with ETA movements. Only a handful of models with in-house calibres cost significantly more, but those are only made in a tiny quantity each year, he explains. That was an important step for a brand that is positioned as the group’s entry level fine watchmaking brand. His second effort is to boost Girard-Perregaux’s development of compilations in-house. Acknowledging that several major complications from Girard-Perregaux in recent years were created by specialists like Christophe Claret and La Fabrique du Temps, Mr Sofisti makes it clear that going forward Girard-Perregaux concentrate on in-house complication development. This goal of this is to increase the brand’s authenticity as a true high horology watchmaker. Citing the newly launched Tri-Axial Tourbillon, Mr Sofisti explains it was created with input from Manufacture Haute Complication SA (MHC) but with much of the development done in-house, “so that our watchmakers can work at [a high] level.” He added that Girard-Perregaux’s watchmakers are now working on a new striking timepiece and further developments of the Constant Escapement. On the subject of tourbillons, arguably the brand’s most famous complication thanks to its iconic Tourbillon with Three Gold Bridges, Mr Sofisti is frank. He is unequivocal in the belief that the basic tourbillon has been produced to the point of saturation – noting that several well known brands each churn out as many as a thousand tourbillon wristwatches annually. The result is that it is increasingly difficult to persuade the consumer to buy one. Consequently, he explains that Girard-Perregaux’s emphasis will be on exotic tourbillons, like its Bi-Axial Tourbillon, or tourbillons with additional complications. Besides complications, Girard-Perregaux also manufactures its own time-only movements, which it also sells to other brands. Its calibre 3000 automatic is particularly widely used outside of the Sowind Group. That business of supplying movements to external parties, however, is slowly winding down, notes Mr Sofisti. That is driven by falling demand: whereas twenty years ago Girard-Perregaux was one of the few makers of high-end movements, a long client list of major brands, most of its former clients are now vertically integrated, he explains, citing Bulgari as an example of a brand that now relies on in-house movements. 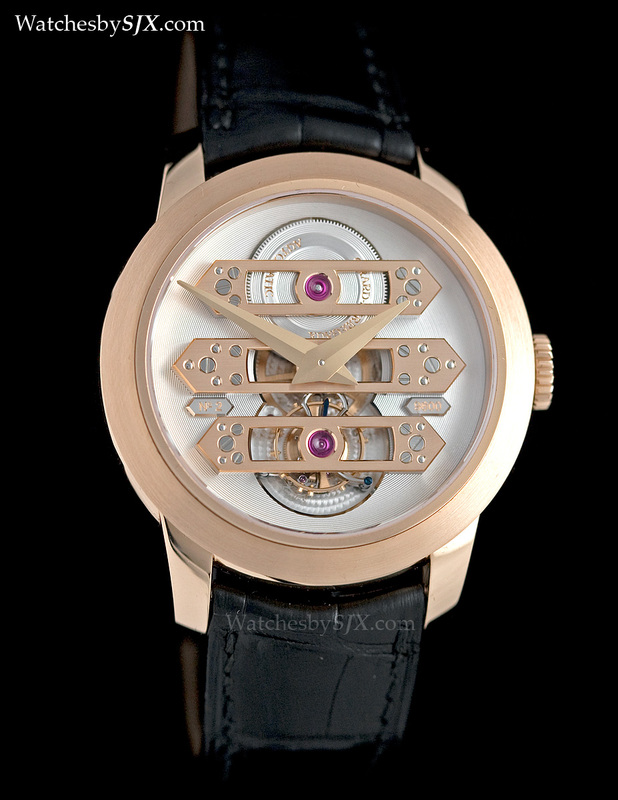 Girard-Perregaux still sells movements to other brands like MB&F, but in tiny quantities. Mr Sofisti’s desire is to restore Girard-Perregaux to what it once was, a watchmaker admired by both collectors and the watch industry. But as he says with some irony, despite being in the watch business, it will take time to get there.